In this episode Shahriar takes a close look at the new Signal Hound PNCS-1 clock standard module. The purpose of this instrument is to provide an exceptionally clean phase noise reference at 1GHz in order to characterize other instruments such as spectrum analyzers and oscilloscopes. The unit uses an OCXO at its heart running at 100MHz. The signal is them multiplied by a factor two and then a factor of five while being filtered and amplified in order to generate 1GHz. The complete signal path of the instrument is analyzed. The unit is then used on an Agilent MXA generator to characterize its phase noise. A frequency divider is also used in conjunction with the PNCS-1 in order to create lower frequency signals. In this episode Shahriar takes a close look at the newly released Siglent SDG6000X Series Pulse / Arbitrary Waveform Generator. 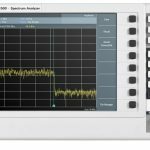 SDG6000X is a series of dual-channel Pulse/ Arbitrary Waveform Generators that feature up to 500MHz output frequency, a maximum sample rate of 2.4GSa/s and 16-bit vertical resolution when used as a function generator. The particular reviewed model is the SDG6052X which is the top-end model. The full teardown of the unit reveals the internal architecture of the instrument, DAC / FPGA interconnect as well as the output amplifier structure. Although the limitations of the FPGA prevents the instrument to operate at full 2.5GSa/s in arb-mode, the instrument is capable of providing complex modulation up to the full 500MHz signal bandwidth. 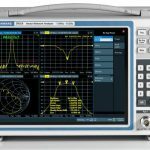 In this episode Shahriar reviews the newly released FPC1500 Spectrum Analyzer from Rohde & Schwarz. 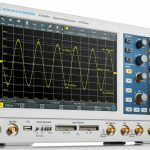 With this addition Rohde & Schwarz continues to aggressively target the entry level market across a wide range of instruments. These units are packed with competitive features some of which are not found in other instruments in the same class. The FPC1500 employs a 10.1″ WXGA LCD screes and a built-in tracking generator with a fully independent synthesizer which allows for offset tracking as well as a built-in VSWR bridge capable of making vector S11 measurements. These features combined with built-in WiFi, wide range of measurement capabilities and digital demodulation of ASK/FSK signals provides a competitive product. 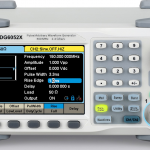 In this episode Shahriar reviews the Rohde & Schwarz ZNLE 1MHz – 6GHz Vector Network Analyzer. The ZNLE is the economy model of the ZNL 3-in-1 instrument. The R&S ZNLE is a two-port vector network analyzer that can be used for bidirectional measurements of S-parameters S11, S21, S12 and S22 on passive components. Ordering the RR&S ZNLE requires only two decisions: the frequency range and whether or not you need a GPIB interface. The analyzer is available with a frequency range of 1 MHz to 3 GHz (R&S ZNLE3) or 1 MHz to 6 GHz (R&S ZNLE6). The optional GPIB interface lets you connect a controller to remotely control the R&S ZNLE. As a standalone instrument, the R&S ZNLE does not require an external PC to configure the setup. You can start measuring immediately after you switch on the instrument. 01:12 – Model comparison and overview. 02:24 – Instrument overview and design. 06:29 – Brief teardown and internal construction. 09:31 – Electronic Calibration Unit and auto-cal procedure. 17:39 – Measurement and characterization of a tunable microwave filter. 30:47 – Measurement of a tunable phase shifter. 33:16 – Analysis and measurement of a trice coupled quad-patch antenna module. 39:10 – Performance and characterization of an ZNLE internal synthesizer. 46:31 – Mixed-mode S-Parameter measurements using the ZNLE. 49:15 – Extreme dynamic range measurements using a 0.1dB step electromechanical attenuator. 1:02:48 – Overview of additional functions. 01:17 – Model comparison and R&S scope lineup. 02:20 – Front panel, rear panel and overview. 05:01 – Instrument teardown and analysis. 13:37 – Power on and basic functions including intensity grading, XY mode. 26:29 – Multi-tone behavior, FFT and ADC performance. 33:17 – Experiment with ambient light follower: Analog and RS232 digital serial capture, triggering and analysis. 48:03 – Experiment with external DAC: Analog and I2C data capture and search using remote web interface. 57:19 – Built-in arbitrary waveform generator behavior and performance.